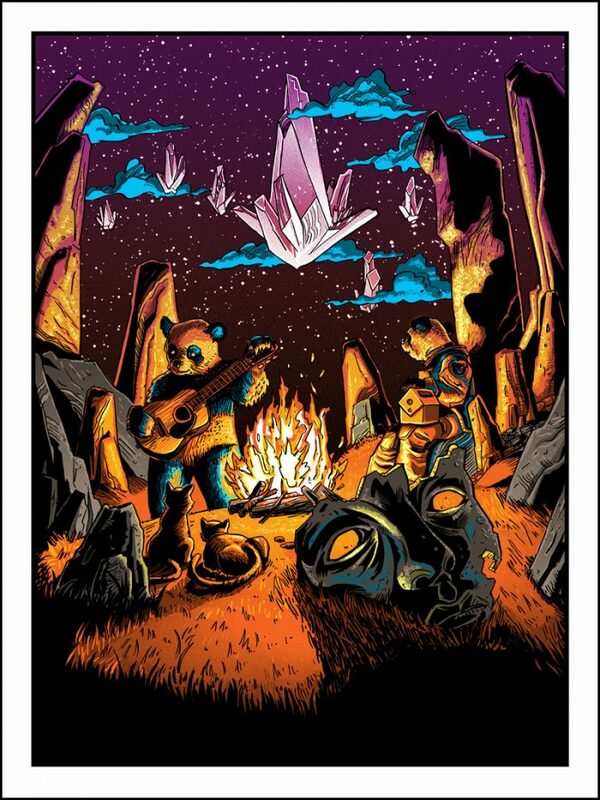 “Crystalline Migration” art print by Doyle- now available! 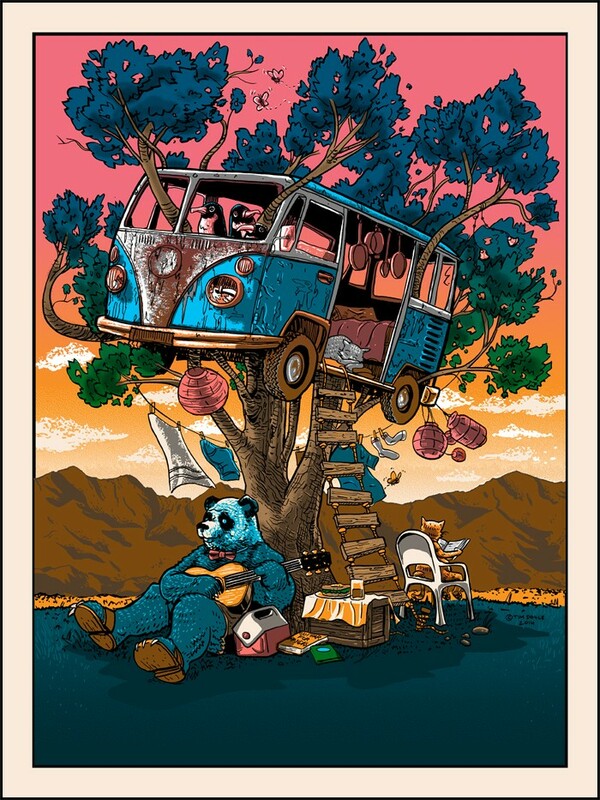 For the last three years, artist Tim Doyle has been invited to create a poster for the annual Coachella music festival! This year’s print sold out at the festival, and then we here at Nakatomi sold out of our artist copies- SO, just like the last 2 years, we’re releasing an art-only edition of the print for everyone! 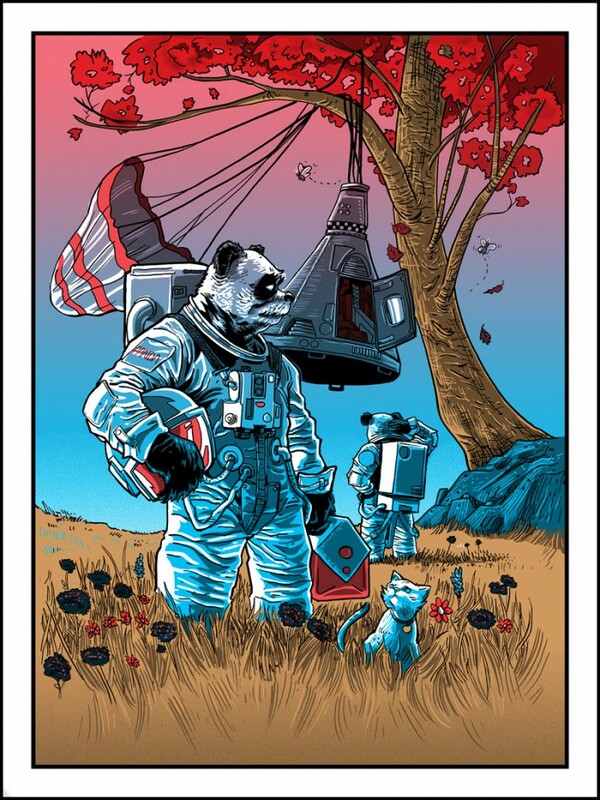 Pictured above is “Crystalline Migration” the 3rd print in our ongoing ‘Pandas at Coachella’ series! Print is available HERE NOW in the Tim Doyle section of the Nakatomi store! “Crystalline Migration” measures 18×24 and is signed and numbered in a first edition of 200. Pick them up HERE NOW!